Lecture notes for a first course in differential equations, taught at the Hong Kong University of Science and Technology. Included in these notes are links to short tutorial videos posted on YouTube. What follows are my lecture notes for a first course in differential equations, taught at the Hong Kong University of Science and Technology. Included in these notes are links to short tutorial videos posted on YouTube. Much of the material of Chapters 2-6 and 8 has been adapted from the widely used textbook "Elementary differential equations and boundary value problems" by Boyce & DiPrima (John Wiley & Sons, Inc., Seventh Edition, ○c 2001). Many of the examples presented in these notes may be found in this book. The material of Chapter 7 is adapted from the textbook "Nonlinear dynamics and chaos" by Steven H. Strogatz (Perseus Publishing, (c) 1994). 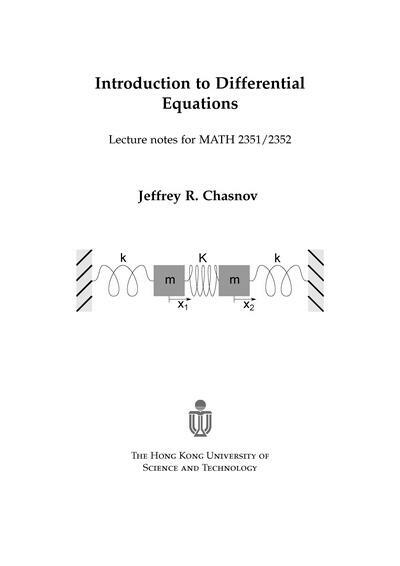 Dr. Chasnov is a Professor of Mathematics at the Hong Kong University of Science and Technology. He received a BA and PhD in Physics from the University of California, Berkeley, and Columbia University in New York City, respectively. He had postdoctoral appointments at the NASA Goddard Institute for Space Studies, also in New York City, and at the Center for Turbulence Research, jointly sponsored by Stanford University and the NASA Ames Research Center in Northern California. 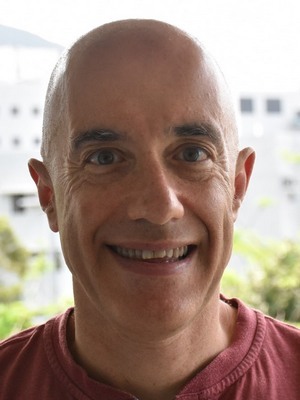 His research interests are evolutionary genetics, turbulence, and scientific computation.